What a fun ride! 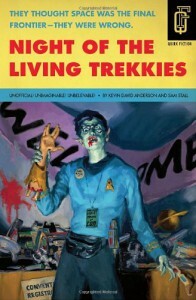 Trekkies wielding bat'leths and tasers against zombies at a convention. I simply couldn't put it down.